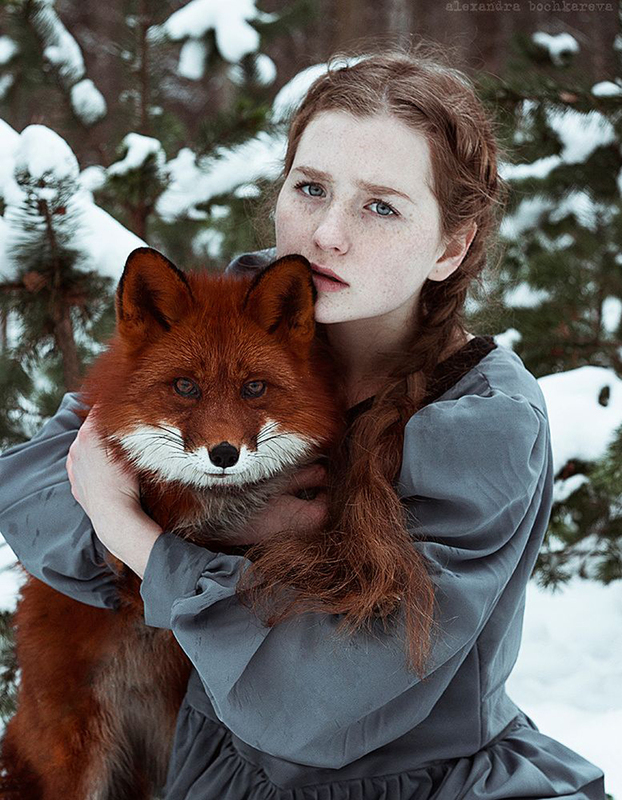 St. Petersburg-based artist photographer Alexandra Bochkareva is artistically attracted to redheads. 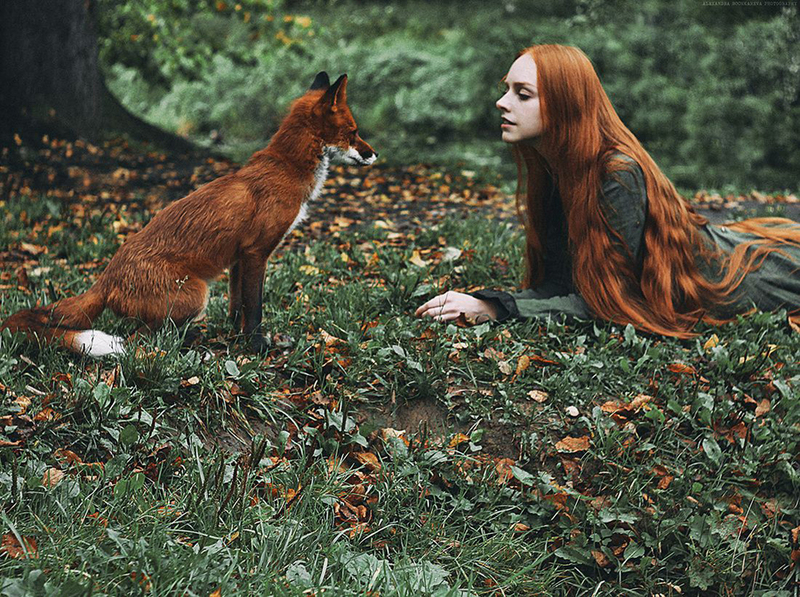 Bochkareva typically captures her ruby-haired subjects in the outdoors – opting to shoot in forests or meadows, where their striking tresses stand out among the greenery. 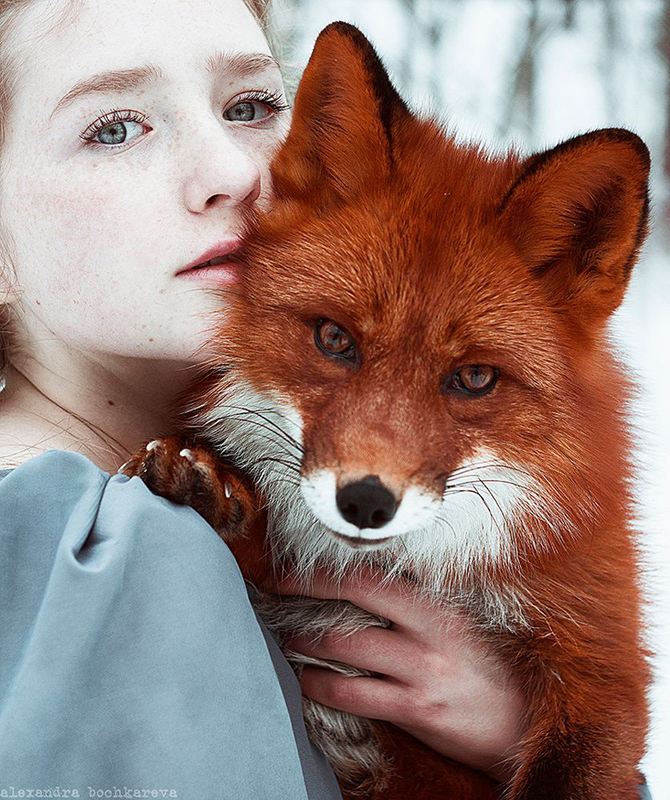 Her photos draw a parallel between the natural surroundings and the figures’ natural beauty, simultaneously creating an enchanting scene straight from a storybook. 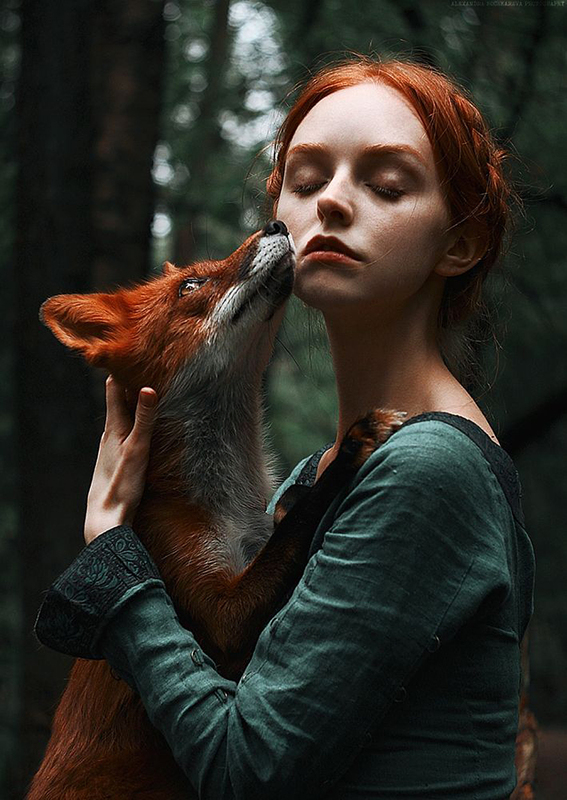 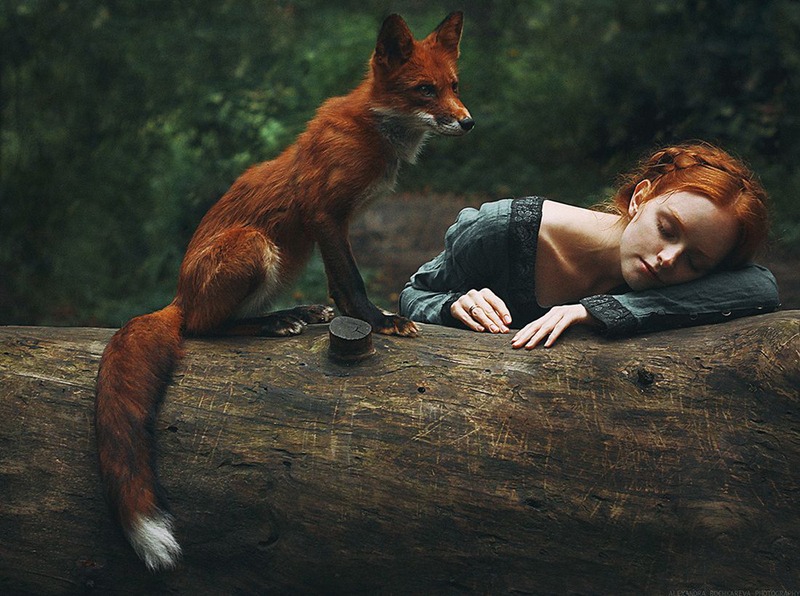 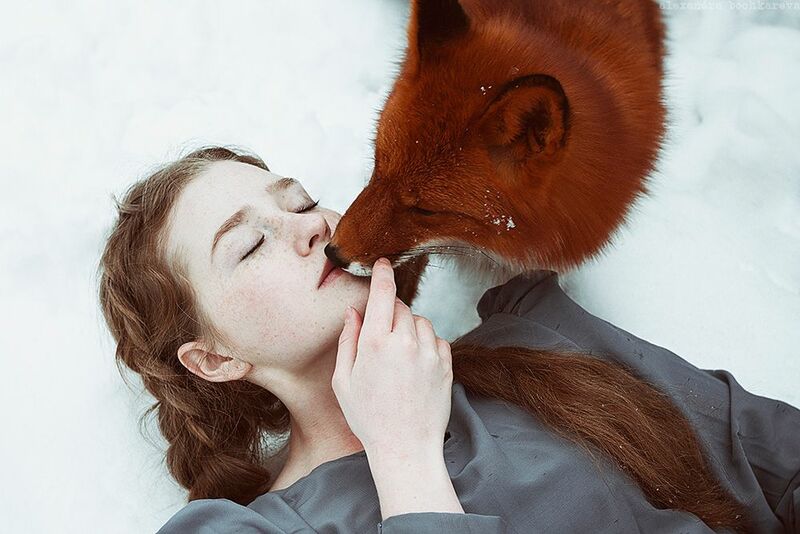 To further enhance her fairytale focus, Bochkareva boldly opted to introduce her subjects to Alice, a trained fox and color-coordinated forest friend. 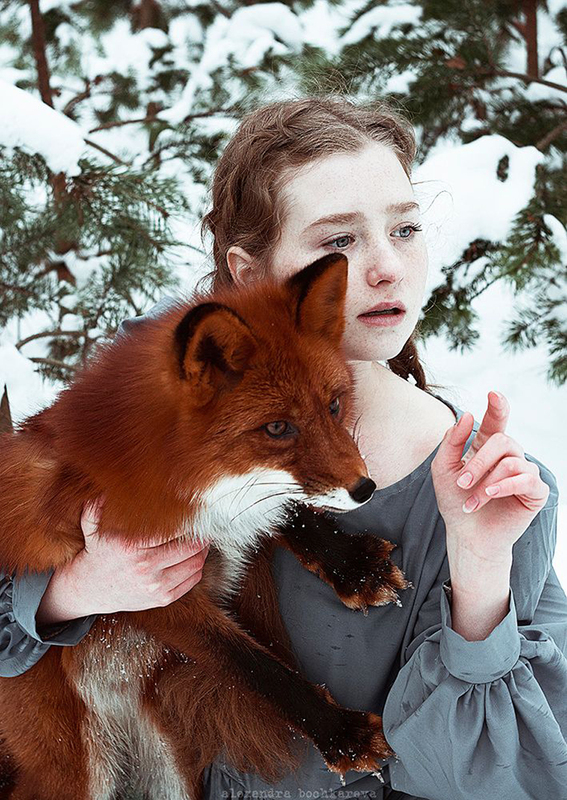 The friendly fox appears in two series: Autumn and Winter. 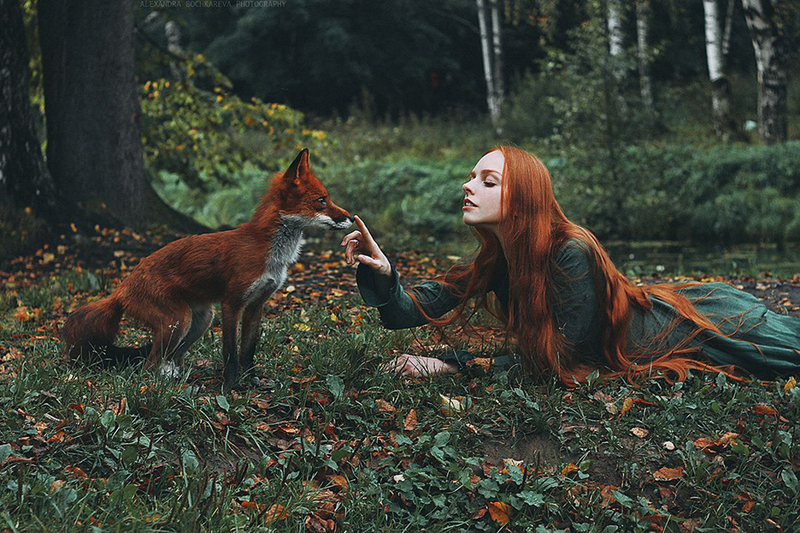 In Autumn, she and Olga “share secrets” on the forest floor. 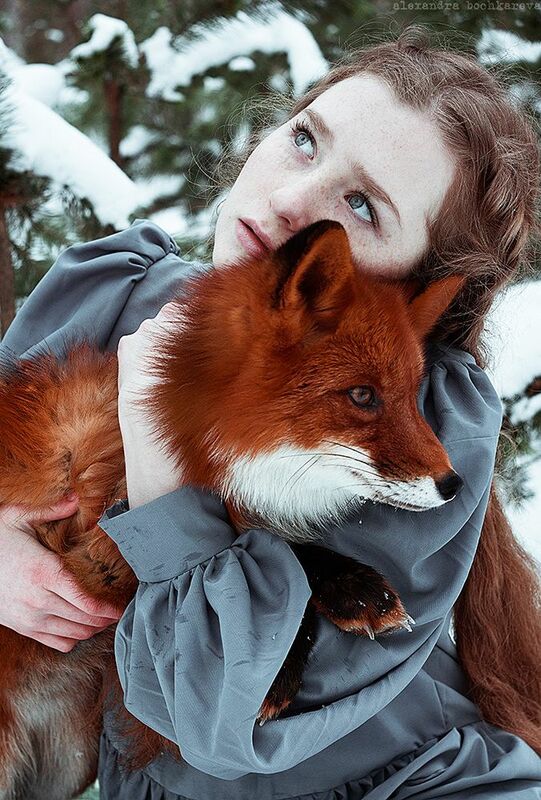 Meanwhile, in Winter, she and Polly solemnly embrace in the snow. 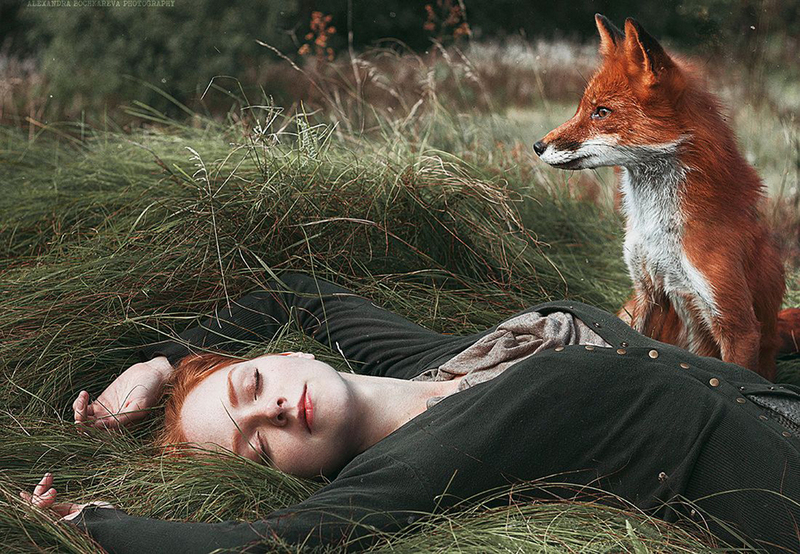 In both beautiful series, the subject and her matching critter calmly interact with each other. 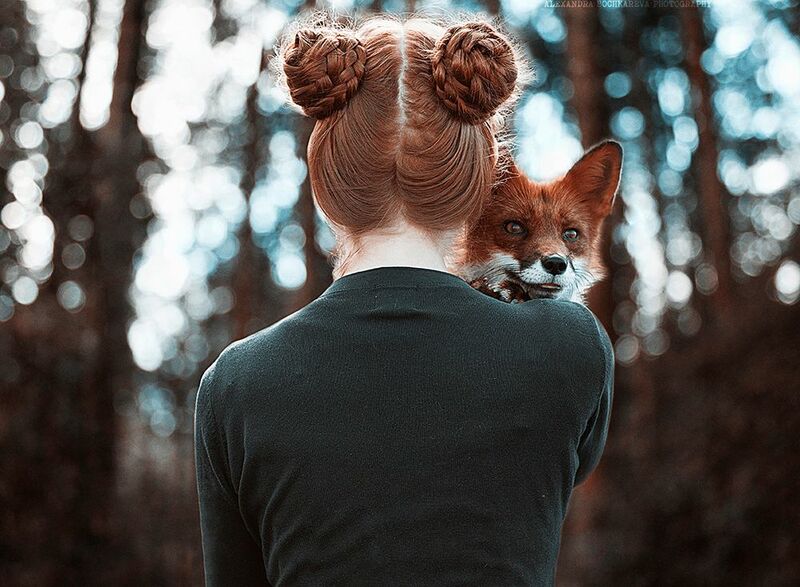 Neither the models nor Alice appear afraid; with their like locks and comfortable demeanors, they quietly co-exist in a dreamlike sense of harmony.